The International Red Cross on Tuesday said three of its workers were being held in northeastern Mali by an unidentified group. 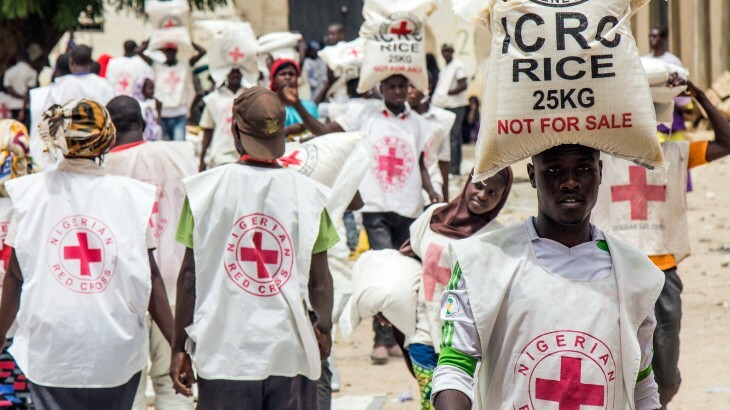 The team were flagged down in their vehicle "by someone on a motorbike, who told them to follow him," Valery Mbaoh Nana, the spokesperson for the International Committee of the Red Cross (ICRC) in the Malian capital Bamako, told AFP. The incident happened on Saturday as the team were driving out of Abeibara, in the north of Kidal region, at the end of a three-day assignment, he said. Four were in the vehicle at the time, one of whom was later released, the spokesperson said. That individual told the ICRC that the previous night, the four had camped in an area where French forces in the Barkhane anti-terror mission were carrying out operations, Nana said. "During the operation, it seems that their guide was arrested," he said. Another source, speaking on condition of anonymity, told AFP "the kidnappers have called for the release of the guide" before they release the three workers. The ICRC said in a statement on Monday it had "lost contact with three of its workers" on Saturday and that the reasons for their disappearance were currently unknown. It did not give their identities or nationalities. Mbaoh Nana on Tuesday said that according to information that had reached the ICRC, the three "are being held in acceptable conditions. They are not being tortured, they have not been physically maltreated." He gave no details about which group or community was believed to be holding them. Several armed groups - former rebels, pro-government groups and jihadists - are active in northern Mali, a vast area that four years ago came under the control of organisations linked to al-Qaeda. The jihadists were forced out of key towns by an international operation led by France, but swathes of territory remain lawless. In a separate development on Tuesday, the UN mission to Mali, MINUSMA, reported that two demonstrators had died in Kidal, in the northeast of the country, in a protest against foreign forces on Monday. Local protesters had forced their way onto an airport runway used by UN and French soldiers supporting Malian forces. On Monday, a source in MINUSMA said "at least one civilian" was killed. A Kidal resident said UN troops had "fired on the crowd." The group mostly comprised women and young people angry at what they considered to be frequent cases of arbitrary detention, according to ex-rebels of Mali's Coordination of Movements of the Azawad (CMA), which has a significant presence in the area. A Guinean MINUSMA soldier told AFP the protesters were demanding the release of three men arrested in connection with the killings of French soldiers who died in a mine blast on April 12. Operation Barkhane, launched in 2014, deploys 3 500 soldiers across five countries in the Sahel region to maintain cross-border security. Seven French troops have died in combat, according to the defence ministry in Paris.